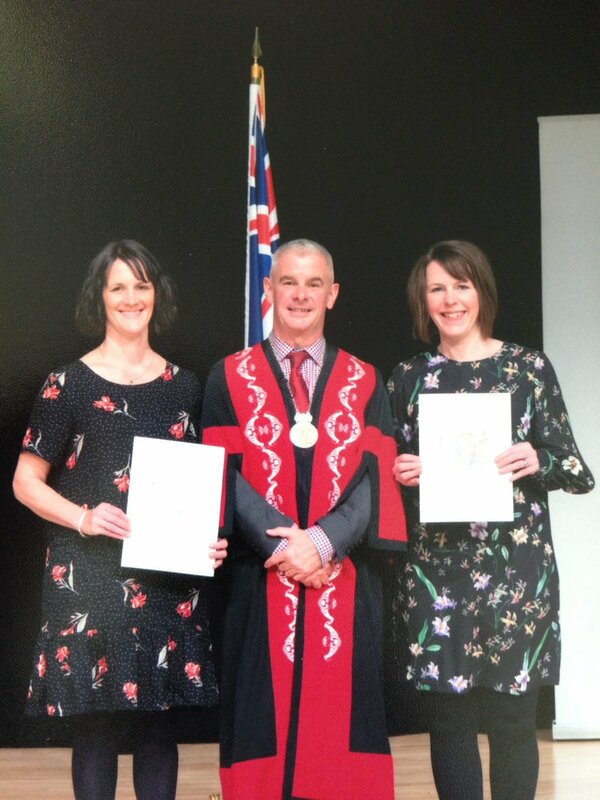 Gail Porteous (nee Hall) and Lynne Robinson (nee Hall), from Lisburn, attended a New Zealand Citizenship ceremony on Tuesday 25th September 2018 to formally become dual British/New Zealand citizens. The ceremony was conducted in Christchurch by the Deputy Mayor, Andrew Turner, who himself originates from England. There were 190 people attaining their citizenship status that evening from countries such as Argentina, Spain, Samoa, China, France, Bhutan, Japan and the USA to name a few! Each family received a New Zealand Kowhai tree to plant in their garden or at the Citizenship garden located in a local park. The ceremony provided a good opportunity to truly see the diversity of people settling in this unique country and to understand why so many people are drawn to making a life for themselves in New Zealand.